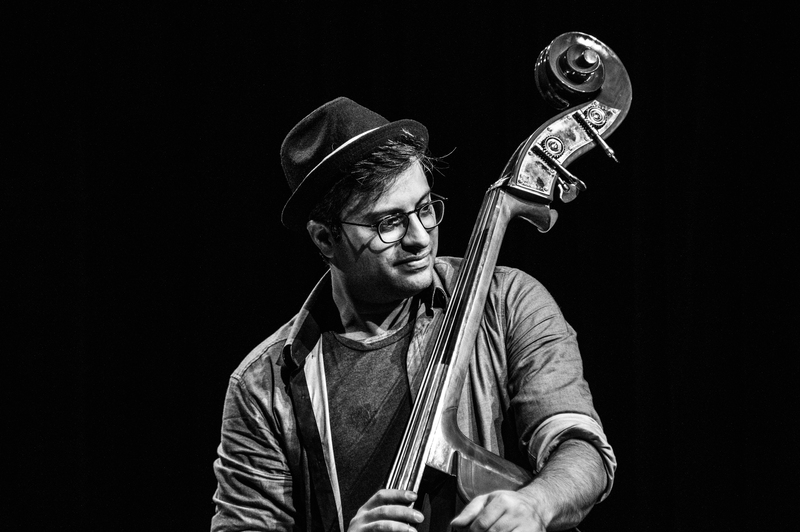 Double-Bass phenomenon, multi-instrumentalist and YouTube sensation Adam Ben Ezra; a man seemingly on a mission to bring his instrument from its status as a background note to the dominant front-presence it deserves. Along the way Adam has been pushing his craft in new, exciting directions and carving out a unique spot for himself in today’s international musical landscape. Whether he is playing original material or his wonderfully crafted cover arrangements, ABE is a creative force of nature who can transform a room full of strangers into lifelong fans in a moment. Regardless if he’s performing his Solo, Duo or Trio show, no two shows are alike as he expertly moves from one instrument to the next, without ever missing a beat. Using a smart combination of effects and pedals, Adam regularly loops his notes in order to deliver an authentic wall of sound, worthy of a small orchestra. With his YouTube channel boasting close to ten million views, it is clear Adam is a bonafide star in the internet world. However, his success is certainly not limited to the web, with 2015 proving to be a breakout year with numerous performances all over the globe. Previously he has been invited to share stages with some of the world’s fusion giants including Pat Metheny, Victor Wooten, Richard Bona, Mike Stern and more. His debut album “Can’t Stop Running” showcases not just a virtuoso performer but also a sensitive composer with no musical boundaries, combining elements of modern jazz, rock and world music to create a sweeping, fascinating and versatile album.